About 64% of all Spanish households own pets. Reptiles represent a total of 4% with demand increasing steadily, especially for the more exotic and rare species (there are more than 8,100 species of reptiles). 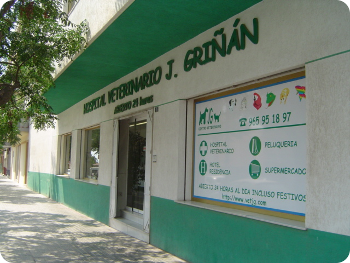 This makes customers more demanding in terms of ownership, maintenance and for veterinary expertise. Vets must be increasingly aware of all aspects of keeping and maintaining the different species. This means we not only have to know about their condition and medicine but also their management, biology, physiology, legal requirements and regulations (CITES) and everything to do with their world which is tremendously variable. 90% of disease in reptiles are due to mismanagement at the place of origin or by the owner. In this article we will try and introduce the world of reptiles to you, albeit in a very concise and practical manner with emphasis on the most popular species. HERPETOLOGY: the study of reptiles. The Greek HERPETON: Reptile meaning: animal that creeps or crawls. which is variable and dependent on external heat sources (wrongly called ‘cold-blooded’). Before citing the most common species, it is important to briefly stress upon the most important points before purchasing and owning a reptile… which is how to have and design the best terrarium for them so to avoid as many pathologies as possible. Faced with a huge choice, the decision factors besides the price should be knowledge about their requirements with regards to temperature and living space, what adult size they reach and their temperament. Look out for: how the animal presents itself at the time of acquisition: their colouring is very important if they are ill… the colour is off, the eyes should be bright and clean, not watery, closed or sunk. Ask if the animal has eaten before you buy, check the tail and legs to see if there are any obvious signs of mineral deficiencies. As with any pet you need to decide before purchasing what you are looking for and what fits in with your live style. For example you buy a very nice and small iguana one day which as a fully grown adult will be up to two feet long and weigh eight kilos and has a life expectancy of some 30 plus years. There are some turtles that bite, some that are very dirty and require water filters and a lengthier cleaning regime, as well as a whole host of different situations that one must be aware of in advance, as each species has unique needs and very different characteristics. Mismanagement of one or more of the following factors will determine if a reptile is best suited or not. TEMPERATURE: is the main factor to control because all of the animal’s vital functions are dependant on it, such as immunity, wound healing, drug response, motor activity, neurological, reproductive, feeding, grasping capacity, digestion and enzyme activity (for example at 28° C it will take a snake five days to digest a rabbit and at 18º C 15 days. Reptiles have no temperature control so if kept too cold all functions such as digestion and nutrient absorption will slow down causing deficiencies or digestive fermentations and also predispose to immunosuppression, increasing susceptibility to infections and diseases of all types. There should be hot and cold zones within the terrarium thus allowing the animal to choose and achieve its optimal body temperature (TCO). It is important to avoid hypothermia and heat stroke as they are very sensitive to the slightest increase of the critical points (max. temp/ min. temp), especially the tropical or non native. Each species has its own TCO which we need to be aware of and know how to adjust, we must also know which species hibernates or not. TCO (optimal body temperature) is normally between 26-29º C and TOP (optimal preferred zone) between 22 to 32º C depending on the species. Nightime temperatures are usually less, ranging between 20-24º C. All of the guidelines are dependant on the nutritional and health status of the animal, sick animals often require an increase over baseline. There are various heaters available such as stone heaters, special spot lamps, heated blankets etc. which always need to be at a distance to the animal or covered to avoid burning. Additional thermostats are also useful for extra safety. Bulbs (incandescent lamps between 25-60W for a volume of 30 litres) are placed at the top mostly for heating the area of branches (for tree species), in general the heaters should only cover half or a max. of threequarters of the total area, allowing space for cold spots. It is not advisable that the temperature is uniform and it’s best to control each area with a separate thermometer. Blankets are good for quarantine, but not for aquaterrariums. Keeping your home at a constant temperature of 22-25ºC is also helpful. LIGHT: influences appetite, synthesis of vitamin D3 and calcium absorption, particularly in lizards and UVA rays (320-400nm) influence the behavior and psyche. Minimum photoperiod from nine hours daily, except for nocturnal species. In summertime 12-14 hours in light and 10-12 in darkness is advisable whereas in winter the light hours should shorten to eigh-nine hours. Recommended lights are neon or fluorescent lamps or better still direct sunlight, however the conventional fluorescent bulb is not sufficient and UVB lamps, the most similar to the sun are expensive and must be renewed every 9-12 months to ensure their effectiveness.